We’re often sent curious footprint images for identification. 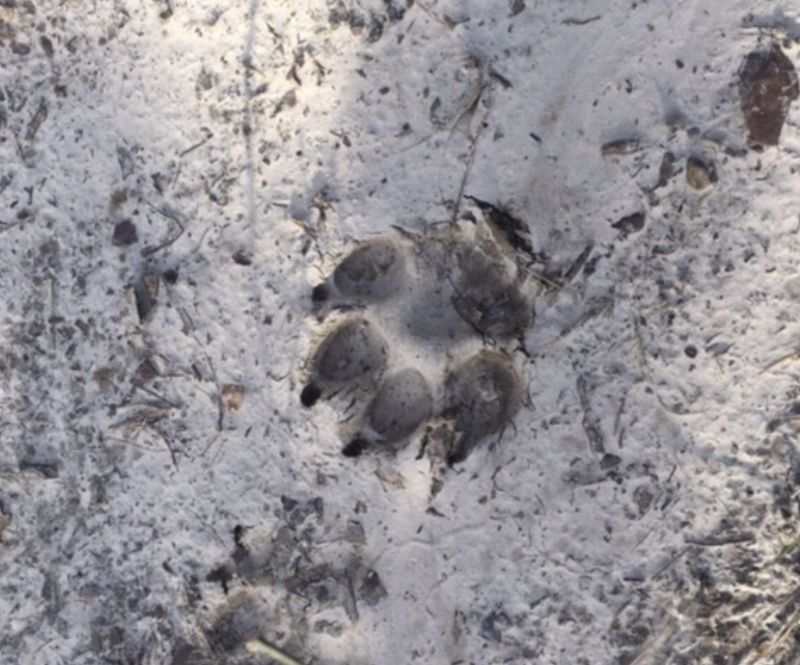 Sometimes the photographer wonders if they might be tiger prints when in fact they turn out to be domestic dogs. Other times friends have fabricated a ‘yeti’ print, or stumbled on something genuinely hard to identify. On this page we’ll be posting some of the more interesting footprint images that come our way! Mountain lion or Coyote asks the observer? This print has claw marks, and the toe areas combined are too large to fit into the heel area. Both those indicate a dog species, so not a mountain lion. A faked black rhino footprint in West Africa, which lead to confusion regarding the status of the Western subspecies of the black rhino.